Check out our next Spring Fling Gift Guide giveaway with a book available. Open to US residents only, you have through 3/31 to enter. Good luck. Three winners. Welcome to the 2017 Spring Fling Gift Guide Dragonwatch Book Giveaway! Amazon and other booksellers nationwide. 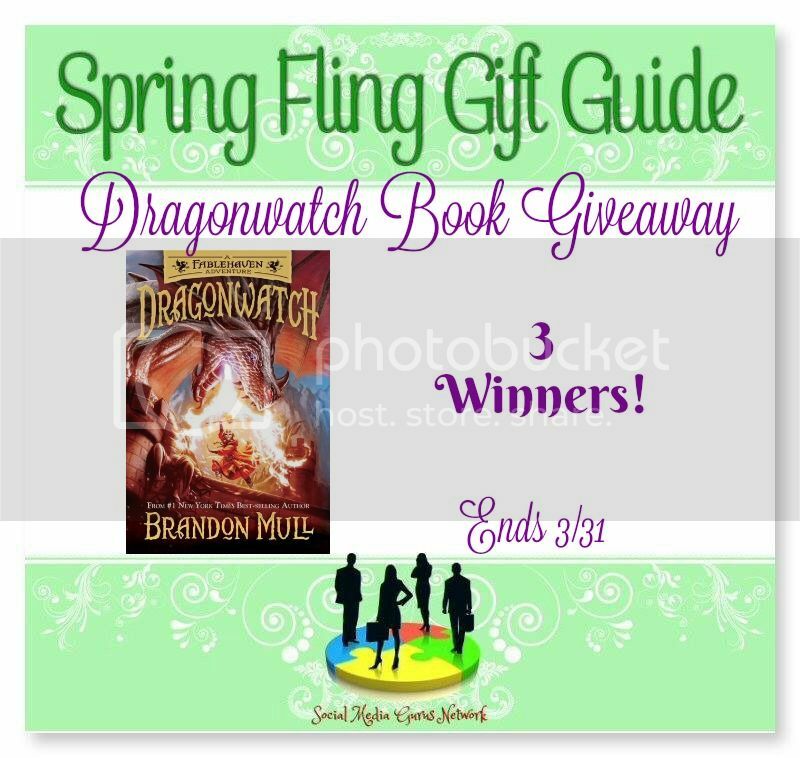 Three (3) Winners Will Each Receive One (1) hardcover copy of Dragonwatch: A Fablehaven Adventure by Brandon Mull! Disclosure: Silvie at My Silly Little Gang received a complimentary product to facilitate the review, no other compensation was received. Hosts & participating hop bloggers are not responsible for sponsors or self-sponsoring bloggers that do not fulfill prize obligations. Smith Publicity is sponsoring this giveaway and is responsible for shipping prizes. Thank you for stopping by!